Al plants on this page are from Sri Lanka. Grown in a dry place, it tend to get more compact. Strange fruits for a bulb. Some are even more flooded. 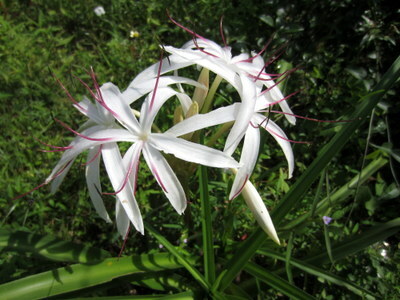 This member of the Amaryllidaceae family was given this name by Carl Linnaeus in 1753. 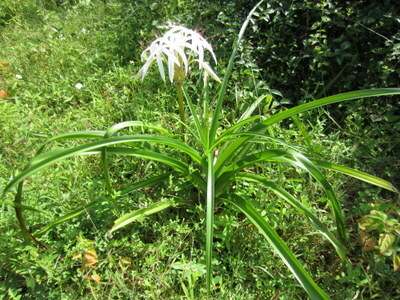 It is found in Asia (and brought many places else), growing in a wide range of soil from grit to rice fields. 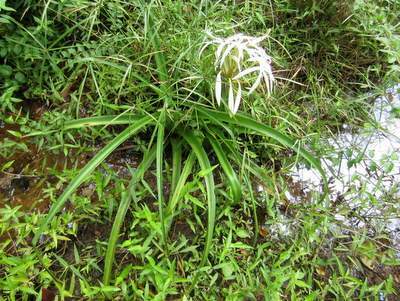 I have found most in swamps, covered half way up in water, although some grow on mountain peaks, quite dry. Some was found in the open sun, others under big trees. The bulb can grow to 25 centimetres in diameter, the entire plant to 50 or even 100 centimetres in height. 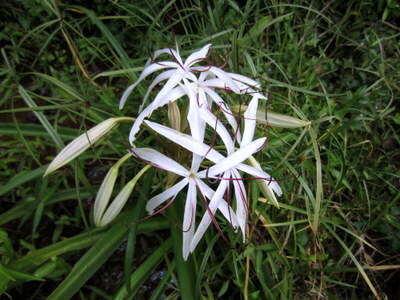 The flowers are white and can go into purple with age.